The story of Sonora is the story of a pure geometric shape, the hemisphere, pursued by Magistretti for almost thirty years as an obsession and available in many materials and sizes. Created in 1976 using turned aluminium, it already measured 100 cm. In 1990 it was offered in etched blown glass and in 2003 in methacrylate. Three years later, this last variant measured 133 cm, acting as a demonstration of exceptional technology. 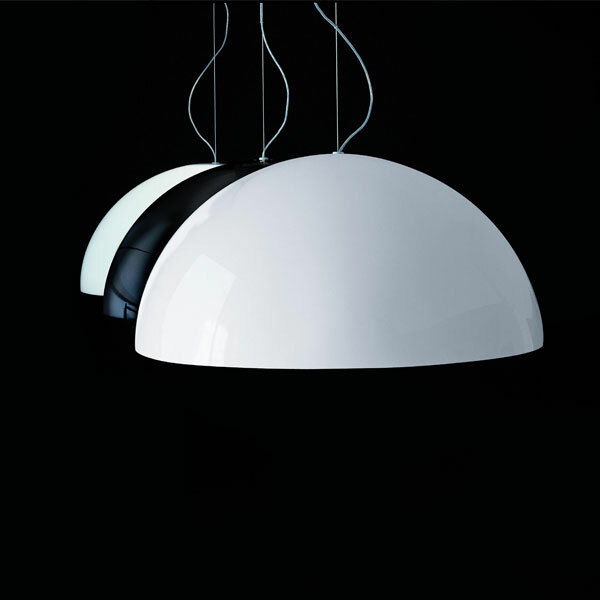 Sonora, awkwardly imitated throughout the world, is certainly one of the most popular lamps designed by Magistretti, who recognised in it the ability to illuminate, and especially characterise, an entire environment: a kind of volume that is contained in another volume that is the room. 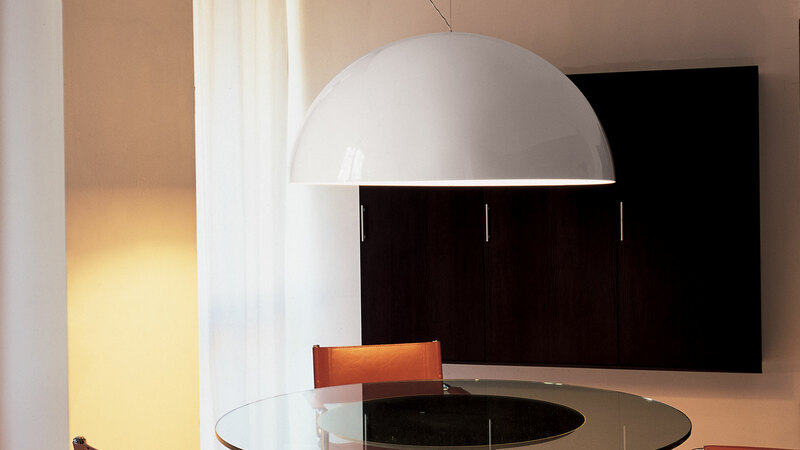 Suspension lamp, giving direct and diffused light, in blown PMMA.